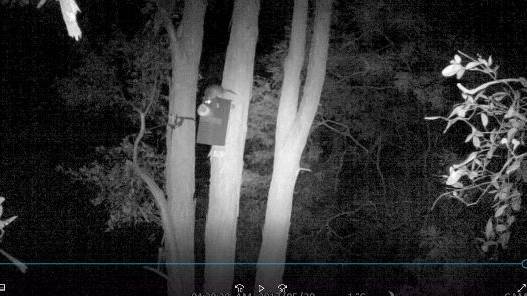 Redeemer Baptist School is home to a family of the nocturnal marsupial, thanks to one student’s initiative. Year 10 student Evette Khaziran built a nesting box as part of a school project designed to attract sugar gliders. The box was installed last year and has since been inhabited by a family of five. 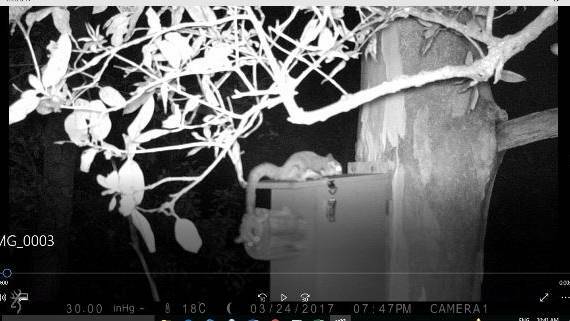 Evette has been following their progress this year and recorded 100 hours of video footage of their nocturnal activities at the school, which backs onto Lake Parramatta. 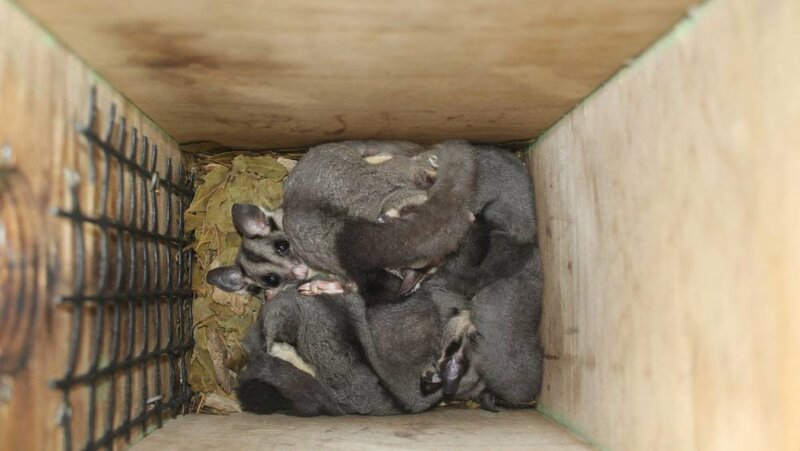 The Greystanes teen has since designed two improved nesting boxes, which the sugar gliders immediately relocated into. “I’ve always had a great interest in helping animals,” the budding vet told the Sun. It’s understood the family has since grown. If so, the baby gliders will make their first appearance next month. “We believe the mum was pregnant, based on her behaviour in recent footage,” Evette said. The community can follow the school’s lead. 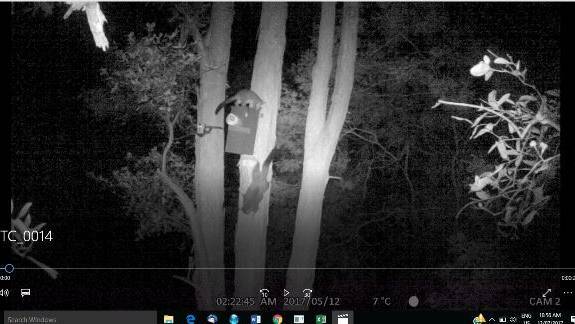 “We encourage people to not knock down old trees and to create their own nesting boxes for native wildlife,” Mr Garth said. Evette will submit her project for the International Science and Engineering Fair, which Redeemer has had great success in. Anyone who has spotted sugar gliders in the area is urged to email evette.khaziran@rbslearn.net. Mary-Anne Poyitt was a finalist in this year’s BHP’s Science and Engineering Awards for school students. Mary-Anne investigated what controlled the distribution of plants in a creek environment. She was also a winner in the Plant Science Grand Awards at ISEF 2017 held in Los Angeles in May. Mary-Anne describes her research and her trip to the US. Principal at Mary-Anne’s school, Redeemer Baptist School in Sydney outlines the unique approach at his school which allows teachers of senior science to inspire young students. Robyn Williams: 'STEM failure breeds a nation of burger flippers' said the headline in the Australian Financial Review this week. Our schoolkids don't like science and are failing at it. Maybe. But some, as we show every week in this Science Show, are prize-winners. Meet Mary-Anne Poyitt, who scored in the BHP awards and now in LA. She's in year 11 at Redeemer Baptist School in Parramatta, and her research is ‘Up the Creek’. First of all, why is it up the creek? Mary-Anne Poyitt: Well, there's a creek that runs through the back of my school, and a freak storm destroyed all the native vegetation. So the school had to regenerate the area, but it felt like it was up the creek because they weren't sure where to plant the native species so that it coincided with the natural habitat too. Robyn Williams: I see, so in other words you're trying to suggest that parts of the habitat require different sorts of plants. Robyn Williams: Surely it wasn't that steep, that high? Robyn Williams: And what did you find out about the plants and where they are best suited? It's not necessarily the elevation in just 10 metres, is it, or is it to do with the water or what? Mary-Anne Poyitt: Yes, precisely. So for my original research I didn't think of recording the soil moisture, but then after soil type didn't affect it, after the distance away from the creek didn't affect it, I looked at the elevation and found that that was the main factor. And since then I have done soil moisture tests and found that as elevation increases, obviously the water availability decreases. So that obviously plays a factor. Robyn Williams: What sort of plants were you looking at? Mary-Anne Poyitt: Specifically native plants to the Sydney Sandstone Gully complex. There's a number of eucalyptus, specifically blackbutt, there's turpentine, there's Pittosporum undulatum, there's cheese trees, and then there's obviously the ferns, there's herbs, there's grasses, so a whole range. Robyn Williams: You know your botany, don't you. Mary-Anne Poyitt: Yes, I had to learn it for this. Robyn Williams: Where did you learn it? At school or botanic gardens or what? Mary-Anne Poyitt: Yes, I had some of the teachers from the school who assisted me in this, they gave me some books to look at so I could do the research to find out what native species I should be finding in the gullies so that I could learn what they looked like, learn about them so it was easier to do my research. Robyn Williams: So you entered the BHP awards and you did well. And then you went to Los Angeles. What happened there? Mary-Anne Poyitt: Yes, so I originally entered my research into the Young Scientist Awards, which is just New South Wales, and was selected as their Intel ISEF Team. Then any finalists in that are also sent to BHP and I was selected as a finalist in that as well, although I didn't get a place there. But then at Intel ISEF, which was located in Los Angeles this year, I got third place in the plant sciences category. Robyn Williams: And what was the experience like, being with presumably American kids? Mary-Anne Poyitt: It was very different for me. I've never been out of the country so it was my first time, and there were representatives from 78 different countries there. So yes, it was a big shock but it was also awesome to be able to speak to people from all over the world. Robyn Williams: What do you think, you know, we get statements in the papers all the time, in fact Andrew Liveris, the head of Dow Chemicals, someone who has worked on manufacturing with Donald Trump briefly, deploring the standards of science, say, in our schools and the way that young people are choosing or not choosing science. Does that puzzle you when you read that in the papers? Mary-Anne Poyitt: Definitely. I love science and I know a lot of people who do. I don't understand it when people don't really want to do it because you're just investigating the world that we live in, which is always interesting. Robyn Williams: And it's real. Mary-Anne Poyitt: It is right there, yes. Robyn Williams: …doing what they do, whether you like it or not and you've got to find out the secret. Mary-Anne Poyitt: That's right, yes. Robyn Williams: So you found it really exciting? Robyn Williams: Why did you choose plants rather than, say, wombats and hairy things that move and say hello? Mary-Anne Poyitt: Well, my school has to regenerate the creek, and so I wanted to do something that would help them. But since the year 8 class in my school then used my research to replant an area, and since they've done that a family of sugar gliders has actually returned to the school, so that's pretty exciting too. Robyn Williams: I can tell you're going to do what I did and study botany and zoology at university. Mary-Anne Poyitt: I'd love to. Robyn Williams: Well, congratulations, and thank you for coming in. Mary-Anne Poyitt: Thank you very much. Robyn Williams: Well, just a quick question to the principal of the school; what is the secret of your success? Because I understand you have in fact won 14 of these prizes? Jonathan Cannon: Well, the secret is that in the school there is a definite culture of science. We have a program that we ourselves have implemented into the school called Inspire. The thing that we want the children to be able to do is to come up with something that is going to provide a contribution to our society. So, many of the projects that the students have done have significant impact in society and have been very successful. But staff are very committed to science and enjoy it. That excitement and enthusiasm is running out into the classroom to the children. Robyn Williams: Excellent. Now, this is from which year to which year? What age? Jonathan Cannon: Well, the school is pre-kindergarten, three-year-olds, to year 12. And one of the things that we do in the school is we have our senior teachers teaching in junior classes and vice versa. So you'll have a senior chemistry teacher or a senior physics teacher teaching a three-, four-, five-year-old science. And because of their knowledge, because of their excitement, they are able to pass that on to the children in a way that gets them excited. So when it comes to research, the children are very, very interested. So this project that Mary-Anne has done and the on-flowing of that to the sugar gliders, we are very excited to have the colony that is now being established in the creek at the back of the school. Robyn Williams: That's terrific, isn't it. And the question I asked Mary-Anne about the latest statement that was in the Financial Review I think on Monday, from Andrew Liveris, deploring the standard of science in schools…it can be done and you're showing it, aren't you. Jonathan Cannon: We know it can be done and yes, we definitely are doing it and it comes back to I think the culture that you are creating in the school environment. And the children are nurtured in their research. So it's not like they are just given a topic and go away and do it. Yes, they do go away, they do their own research, they start digging in deep, but they come back and then with that support from the teachers and the school it allows them to have a deeper understanding of their subject area that they are researching. And for many of them it really excites them. And the interesting thing is that not only does it help them in their science but it helps them in many, many other areas, and I think provides an excellent opportunity for them for preparation for further studies when they leave the school. Robyn Williams: Congratulations to you both. Robyn Williams: Jonathan Cannon is principal of Redeemer Baptist School in Parramatta, with Mary-Anne Poyitt, back from LA with more awards for her work. Yes, the secret of their success, spreading the knowledge from three-year-olds to the big kids.